Daniel Owens has been elected to the GHA Board of Trustees, which is made up of 20 elected hospital executives from throughout the state of Georgia. Daniel S. Owens, CEO of Emory University Hospital Midtown and Emory University Hospital Smyrna, has been elected to the Board of Trustees of the Georgia Hospital Association (GHA). The vote took place at the association's annual Summer Meeting last week in Amelia Island, FL. The GHA Board of Trustees is made up of 20 elected hospital executives from throughout the state of Georgia. Owens will serve as an at-large trustee, where his duties will include working with the board to develop strategies for GHA hospital members, advocate for the highest quality care for patients, and support adequate reimbursement for hospitals. At-large trustees are eligible to serve two consecutive terms of two years each. Owens has been CEO of Emory University Hospital Midtown, a 529-bed academic-teaching and community-based hospital located on Peachtree Street in midtown Atlanta, since January 2015. The hospital is staffed with more than 1,300 Emory University School of Medicine faculty/physicians, 400 private practice physicians and 2,800 employees. The hospital is well-known for its services in cardiology and cardiac surgery, cancer, ENT, gastroenterology, women's services (obstetrics, high-risk pregnancy and infertility), emergency medicine and more. Owens was named CEO of Emory University Hospital Smyrna in October 2015. The 88-licensed bed hospital is located on South Cobb Drive in Smyrna. During more than 20 years of service at Emory, Owens has held numerous operations and financial positions throughout Emory Healthcare. 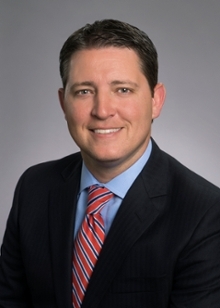 Prior to being named CEO of Emory University Hospital Midtown, he was vice president of operations and chief operating officer at the hospital. Founded in 1929, the Georgia Hospital Association serves more than 170 hospitals in Georgia and promotes the health and welfare of the public through the development of better hospital care for all Georgia's citizens. The mission of GHA is to advance the health of individuals and communities by serving as the leading advocate for all Georgia hospitals and health care systems.